At CTIA 2009 LG showed a number of interesting phones (the Crystal, the Xenon, the Neon) and a new Bluetooth headset, the HBM-900, which sports a very futuristic design. 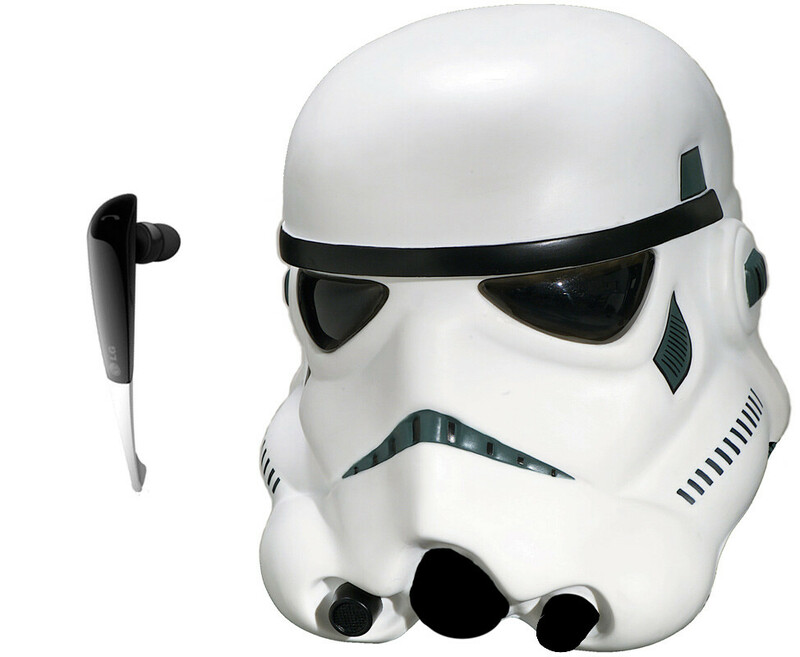 It will fit the Storm Trooper’s battlesuit (from Star Wars). Apart from the good looks, it has many features – according to the manufacturer, the three microphones will provide a “tri-mic ultra-clear audio solution”. The multifunctional button is touch-sensitive and the power key has a slider form. The headset will feature an automatic volume control, volume circulation, echo cancelation and noise suppression (DSP), multipoint and voice activated dialing. There is no info about the price and the release date, but all Storm Troopers… err we know that it should come out till the end of the year.